Portrait of Albert James Price, Texas legislator from Jefferson County. Courtesy of the Legislative Reference Library. Image available on the Internet and included in accordance with Title 17 U.S.C. Section 107. 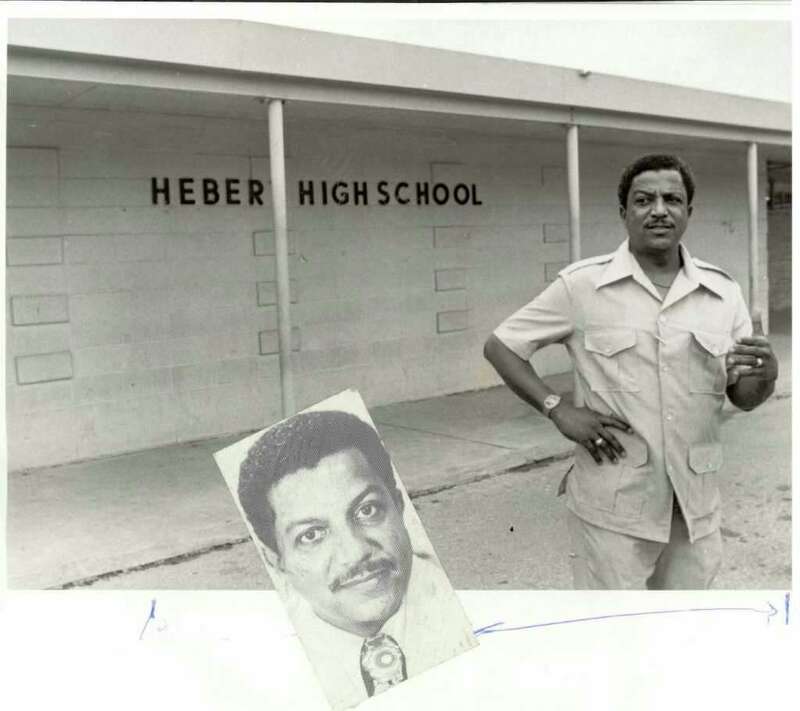 Albert Price at Hebert High School. Courtesy of the Beaumont Enterprise. Image available on the Internet and included in accordance with Title 17 U.S.C. Section 107. PRICE, ALBERT JAMES, SR. (1930–2012). Albert James Price, Sr., United States Air Force pilot, commercial airline pilot, and state legislator, is best-known for the public service and leadership that he exemplified as a member of the Texas House of Representatives. Price, a Democrat, served the citizens of Southeast Texas, specifically Jefferson County and the city of Beaumont, for twenty-two years as their elected representative. However, the impressive public service record that he amassed over the years only represents a very small part of a life devoted to social justice. Albert J. Price, Sr., was born on April 6, 1930, in Port Arthur, Texas. He was the fourth of twelve siblings born to Archie Lee Price, Sr., and Cleona J. (Barker) Price. Al Price, as he was known, spent his early years in Beaumont. He attended Hebert High School where his father was the principal. Being one of the top students at Hebert, Price graduated high school in 1946 at the age of sixteen. Morehouse College Campus. Courtesy of Morehouse College. Image available on the Internet and included in accordance with Title 17 U.S.C. Section 107. Price went on to continue his education at Morehouse College in Atlanta. At that time in American history, Morehouse was the preeminent institution for the education of intellectually-gifted African-American men. Over the years Morehouse has graduated such notable figures as Maynard Jackson, Julian Bond, Louis Sullivan, Spike Lee, Walter E. Massey, David Satcher, and Samuel M. Nabrit. During his tenure at Morehouse, Price studied with such distinguished individuals as Lerone Bennet, Sr., and Martin Luther King, Jr. Price graduated from Morehouse with a bachelor of arts degree in sociology and remained an active alumnus throughout his life. He attended every homecoming and commencement, regularly volunteered for community service as a member of Omega Psi Phi Fraternity, and eventually established the Albert J. Price, Sr. Endowed Scholarship Fund. A B-47 Air Force plane takes off, circa 1950s. Courtesy of the Federation of American Scientists. Image available on the Internet and included in accordance with Title 17 U.S.C. Section 107. After leaving Morehouse College, Price enlisted in the United States Air Force. His military career spanned twelve years from 1951 to 1963. During this time he attained the rank of captain and served in the Air Rescue Service and the Strategic Air Command as a B-47 pilot. After his honorable discharge in 1963, he worked for a short time as a college recruitment and placement officer for NASA. Albert Price wearing an American Airlines pilot hat. Courtesy of the Beaumont Enterprise. Image available on the Internet and included in accordance with Title 17 U.S.C. Section 107. His experience in the military as a pilot made him extremely qualified for a civilian position as a commercial airline pilot. However, the racial intolerance of the 1960s made finding such a position extremely difficult. 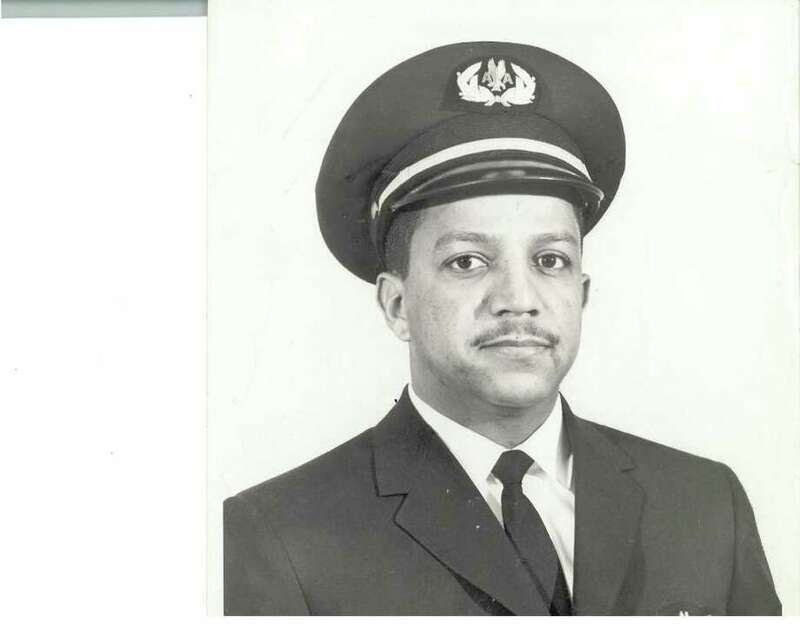 Nevertheless, Price persevered and in 1966 became one of the first African-American pilots hired by American Airlines. After securing that position, he served admirably as an American Airlines pilot for twenty-four years until he reached the mandatory retirement age of sixty in 1990. In 1971 Price married Elizabeth Buchanan. They had two children together, Albert Jr. and Anita Price-Ashton. Buchanan also had two daughters, Tonie and Terri Tanner, from a previous marriage. 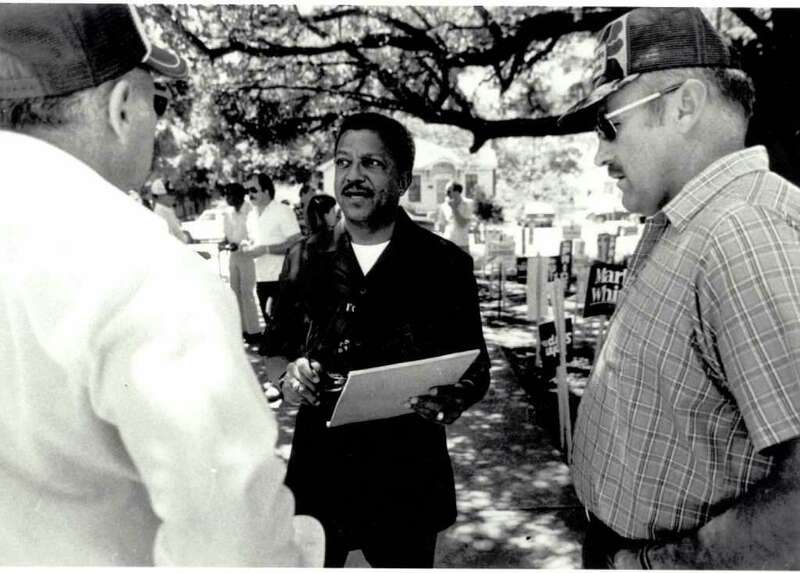 Albert Price speaks with voters. Courtesy of the Beaumont Enterprise. Image available on the Internet and included in accordance with Title 17 U.S.C. Section 107. 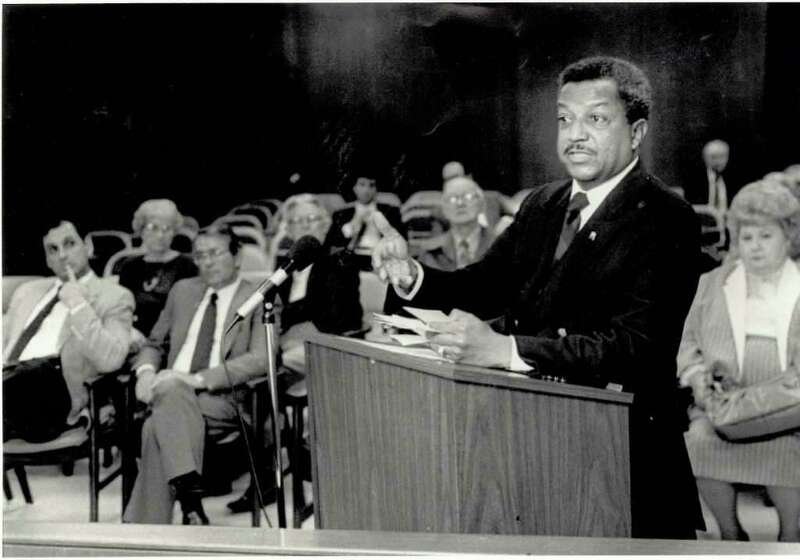 Albert Price speaks with fellow legislators at a dinner held in his honor in 1978. Courtesy of the Beaumont Enterprise. Image available on the Internet and included in accordance with Title 17 U.S.C. Section 107. Albert Price giving a speech. Courtesy of the Beaumont Enterprise. Image available on the Internet and included in accordance with Title 17 U.S.C. Section 107. Through all of his experiences and travels as a pilot, Al Price remained firmly grounded in the community. 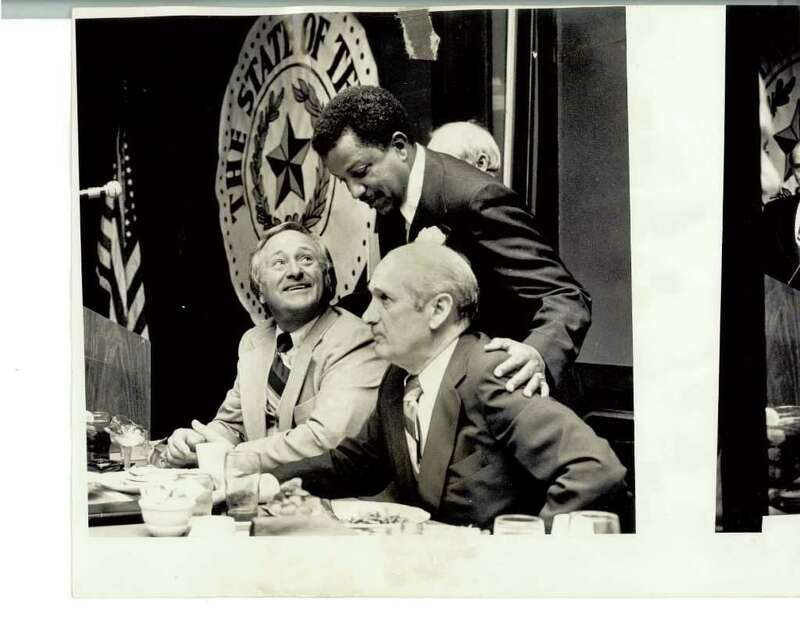 As a result, in 1976 he became the first African American from Southeast Texas to represent the Beaumont area in the Texas House of Representatives. Price served the citizens of Southeast Texas for eleven terms and ended his illustrious legislative career in 1998. As a state representative, he actively worked to introduce legislation to help the elderly, disabled children, and low-income families. He served on numerous committees, including the committees on higher education; public education; labor and employment relations; state, federal, and international relations; financial institutions; transportation; minority business enterprises; and the committee for the creation and expansion of minority and women-owned business ownership opportunities. In 1980 he was selected by President Jimmy Carter to represent the United States at the independence ceremonies of the newly-founded nation of Zimbabwe. His commitment to his community, especially those disadvantaged, went well beyond his record in the Texas Legislature. Price was instrumental in the organization of the Save Our Sons Association. This group worked with at-risk youth and prisoners to help them turn their lives around and become productive citizens. He was also a delegate to the World Council of Churches in Geneva, Switzerland. Additionally, in 1993 Price founded the Southeast Texas Community Development Corporation. He served as the president of this organization and accepted no compensation for that role. The organization provided affordable housing to low income individuals and families. Al Price died on January 24, 2012, at the age of eighty-one. His funeral was held at Mercy Funeral Home in Beaumont, and he was buried in Beaumont’s Magnolia Cemetery. A public memorial service was held at Lamar University’s Mary and John Gray Library, and Price was eulogized by Texas representatives Harold Dutton and Al Edwards, and Beaumont Mayor Becky Ames. Price was heralded as a pioneer who devoted his life to opening doors previously closed by racial injustice. Beaumont Enterprise, January 25, 2012; February 2, 6, 12, 2012. Legislative Reference Library of Texas: Albert Price (http://www.lrl.state.tx.us/legeLeaders/members/memberdisplay.cfm?memberID=281), accessed June 25, 2013. 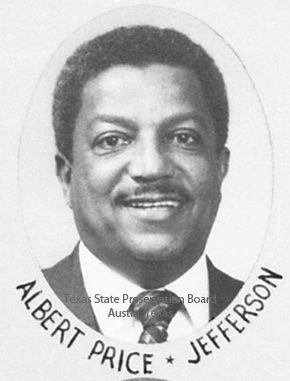 Handbook of Texas Online, Kenneth W. Jackson, "PRICE, ALBERT JAMES, SR. ," accessed April 23, 2019, http://www.tshaonline.org/handbook/online/articles/fpr48. Uploaded on July 23, 2013. Modified on June 8, 2017. Published by the Texas State Historical Association.